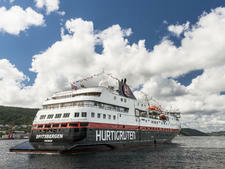 Fram, the smallest and newest ship in the fleet of Norwegian coastal line Hurtigruten, was designed for expedition cruises to some of the most remote places on the planet. 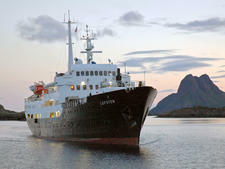 Launched in 2007, the ship spends the Northern Hemisphere's warmer months in Arctic waters, exploring Greenland, Iceland and Svalbard; November through February is spent in Antarctica, during the austral summer. 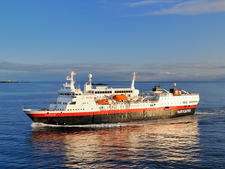 In between, the ship takes passengers on lengthy transatlantic crossings between the poles. 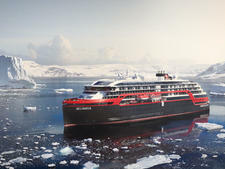 Fitting of a polar expedition ship, Fram (pronounced frahm) is named after the wooden sailing ship built in 1892 for Norwegian explorer Fridtjof Nansen's North Pole expedition. The original Fram (Norwegian for "forward") completed three trips: an unsuccessful attempt to reach the North Pole under Nansen; an exploratory mission to the Canadian Arctic with Otto Sverdrup; and a South Pole expedition led by Roald Amundsen, who reached the pole on December 14, 1911. 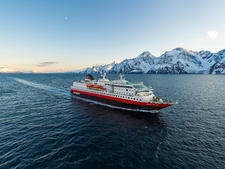 From the moment you step onboard this compact ship, you feel as though you've arrived in a polar region. The artwork, created by Arctic-region artists, reflects both the Arctic and Antarctic with photos of those early expeditions, paintings of snow-capped peaks and (from the South Pole) pictures of penguins. The staircase landings sport glass sculptures resembling icebergs. Highlights are the model of the Fram sailing ship and the exhibit of Fram artifacts displayed in the arcade hallway leading to and from the dining room. 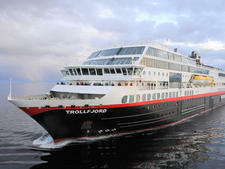 Historic objects are on loan from the Fram Museum in Oslo, Norway. While Fram was constructed to sail on polar expeditions, its owners did not skimp on style. The blond woods associated with Scandinavia are everywhere: in cabin and public room furniture, decor accents and even stairway railings. Fabric colors are rich: royal blue and brick red with calmer colors for the carpeting. Public areas, including restrooms, are always spotless. The onboard atmosphere is decidedly social. 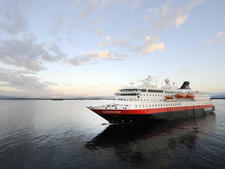 The ship has just two main gathering spots for conversation or relaxing, but they tend to be busy with passengers exchanging onshore experiences and gazing at the stunning land- and seascapes. The expedition crewmembers -- a group of scientific experts plus the staffers who handle the logistics of going ashore -- are often available for a chat, and they conclude every enrichment presentation with a question-and-answer session. Staffers are friendly and efficient, and most speak at least two languages. They're also flexible by necessity; on expedition cruises, every day's schedule is at the mercy of weather and sailing conditions. When our Greenland itinerary was snarled by fog and ice, the expedition team rejiggered our daily programs -- sometimes multiple times a day -- and kept us informed via timely P.A. announcements in two or three languages. While most passengers were satisfied with their cruise overall, the ship's biggest flaw is inconsistency. Among the daily nature and history lectures were some of the most engaging talks we've ever heard on an expedition cruise, but also a few of the worst (unfocused, repetitive or simply not useful). While set-seating dinners were typically delicious, the buffet offerings drew some complaints for the lack of variety. 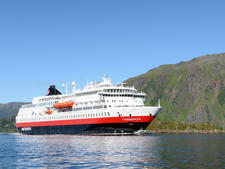 Many shore excursions thrilled passengers, but a few were overpriced or underwhelming. And the lack of reliable Internet access was a persistent source of frustration for those hoping to keep in touch with family members, house-sitters or coworkers at home. In the end, though, these were minor quibbles in comparison to the adventures we were having ashore. 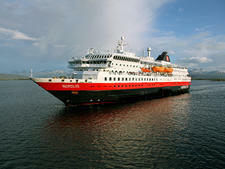 Fram's destinations of Greenland, polar Norway and Antarctica draw a largely non-North American passenger manifest. 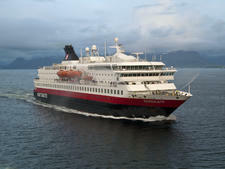 On our Greenland sailing, at least half of the passengers onboard were German, with a fair number of Norwegians and other Europeans. 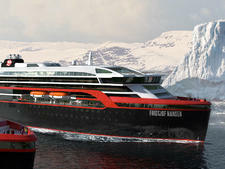 Antarctic cruises tend to draw more Americans and Asians. Because many excursions require a good deal of walking and even some uphill trekking, passengers generally are fit adventure-seekers in the 50-and-older age range. 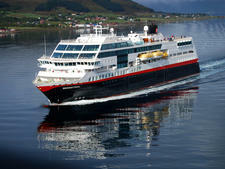 The ship usually operates in at least two languages: English and, depending on the nationality of the bulk of remaining passengers, German, French or Norwegian. All P.A. announcements are given in English and at least one other language, and most lectures are also presented, in separate rooms, in two languages. The majority of the European passengers speak at least a little English in addition to their first language. Casual is key. On an expedition cruise, dressing for comfort takes priority over being a fashion plate. Bring snow-country clothes you can layer -- remember the waterproof pants, thermal underwear, hat, gloves and sturdy walking shoes. In Greenland or coastal Norway, good hiking boots should suffice; in the snowy polar regions, waterproof calf-high boots are recommended. Fram rents these "muck boots" for 120 NOK (about $20) for a cruise. Sweaters and slacks or jeans are fine at dinner; though button-down shirts weren't uncommon, ties and sport coats would have looked out of place in the dining room. All Fram passengers are given a hooded parka to use onboard and bring home as a great souvenir. 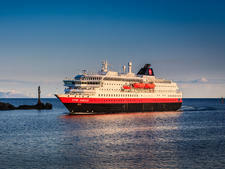 The onboard currency is the Norwegian kroner (NOK), and purchases, excursions and tips are billed to your account in NOK. Your cabin key card serves as your charge card. 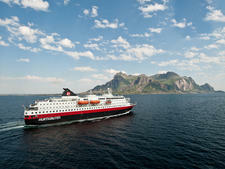 A gratuity of 70 NOK (about $11.67) per person, per day, is suggested. Toward the end of your voyage, you will receive a form on which you can simply agree to this amount or enter what you wish. No gratuities are added to wine or cocktail purchases, though whatever gratuities you provide are divided among the crew, including bartenders, waitstaff, room stewards, etc.